Our First Field Trips are designed especially for younger students who are new to field trips. It’s less walking for little legs, and the day isn’t too long. Each field trip consists of 2 programs – Farm Kids and Pioneer Kids – plus a lunch break that includes play time. First Field Trips are for grades K-3 and cost $6/student. Now Booking Mondays and Fridays, April 29 through June 7. Programs start at 10:00, 11:00, 12:00, 1:00, and 2:00. Designed for students K-3.  Learn about life for early immigrants who had to pack a trunk with all of their belongings and journey to Wisconsin. Once here, life on a farm often depended on animals that students will get to meet at an animal encounter. Then we get to work in the kitchen and use questioning to explore food traditions. Designed for students K-3. Learn firsthand how a one-room school education taught children not only their English ABCs, but also how to be an American as students participate in a class and outdoor recess. Then walk home to a one-room cabin in the Wisconsin Territory and explore the space with a scavenger hunt.